I wrote this feature for the Dallas Morning News. It was published on Aug. 26, 2002. José Miguel climbed into a ’58 Ford with a half-dozen friends, and it roared into the night. Fifteen minutes later, the lumbering jalopy reached the outskirts of Havana, left the main highway and stopped at a steel gate. Inside was an open-air lot the size of a basketball court where a sea of people danced, laughed and drank beer. It was the night’s clandestine “floating party,” reserved for gays. Nearly a decade after the debut of Strawberry and Chocolate, a landmark film that opened new horizons for gays in Cuba, gays are still struggling to find a place of their own. Gay discos and clubs are banned under the socialist regime. Gay marches are taboo, and so are gay magazines and gay organizations. “Right now there is no place for gays to go, and when a gay club opens up, the authorities usually close it down,” said Victor Fowler, a Cuban scholar and author of a book about gays. Gays say there is no doubt that there have been advances over the last 10 years. Cuba’s traditionally macho society has grown more tolerant of homosexuality, and some gays are even in charge of Committees for the Defense of the Revolution, responsible for neighborhood security. But, José Miguel and others say, Cuba has a long way to go. “I think we’re accepted by society, but not by government and definitely not by the police,” he said. A week and a half earlier, police tried to break up a fight between two transvestites at Fraternity Park in Old Havana. During the scuffle, one of the transvestites stabbed an officer in the neck with a pair of scissors, killing him. Since then, José Miguel and other gays say, the police have been especially harsh. José Miguel says police have said they have instructions to go after gays. Even so, he said, police routinely stop and question people they think might be gay. Cuban police say they pay special attention to gays to try to keep prostitution in check. But they deny discriminating against gays and say they treat everyone alike. What few doubt is that gays face daunting challenges in Cuba, where machismo and communist doctrine have traditionally shunned them. No gay person will ever “embody the conditions and requirements of conduct that would enable us to consider him a true revolutionary, a true communist,” Mr. Castro told an American journalist in 1965. That same year, the Cuban government created the now-infamous Military Units to Help Production, UMAPs by their Spanish initials. They were camps where young men considered unfit for military service were forced into hard labor. Many were gays. At the same time, the Communist Party required parents to report children who engaged in homosexual activities. Not informing on gay children was considered a crime against the revolution. The heavily criticized UMAPs were disbanded after two years, but bias against gays continued. At Cuba’s First National Congress on Education and Culture in 1971, Castro supporters approved laws banning gays from jobs where they might influence children. Some of the hard-line policies began to soften in the mid-’70s, and by 1979, Cuba decriminalized homosexual acts. In 1987, the government prohibited police from harassing people based on their clothing or appearance. Mr. Castro also began taking a more liberal view of gays, blaming past intolerance on machismo. “We got our machismo from the Conquistadors, just as we received other bad habits,” he told former Sandinista official Tomás Borge in 1992. “I’m not going to deny that, at a certain point, this machista thing influenced” Cuban policies toward gays. A year later came a breakthrough for gays when Strawberry and Chocolate was released. The movie, set in 1979, told the story of Diego, an intellectual homosexual, and David, a devout communist. Its message wasn’t just that society ought to accept gays but that people should fight all forms of intolerance, said Senel Paz, who wrote the short story that led to the film. “The problem before the movie was that people in Cuba didn’t even talk about such things as homosexuals,” said Mr. Paz over dinner at La Guarida, a private restaurant where most of the film was shot. Strawberry and Chocolate was a runaway hit, and more than a million Cubans saw it, making it the most popular movie since at least 1959. Some advances for gays followed. The government stopped forcibly quarantining all HIV-positive patients, most of whom were gay men. And the Cuban Association of Gays and Lesbians was founded in 1994. But change in Cuba is rarely smooth and steady. In 1997, authorities broke up the gay association and arrested its members. They also began cracking down on several gay discos that had sprung up. One police raid that gays still talk about occurred in August 1997 when authorities swept into El Periquitón club and arrested about 800 people, including Spanish filmmaker Pedro Almodovar and French designer Jean Paul Gaultier. Today, gays say, discrimination against gays continues not only on the streets, but in the state-run media. About that time, police banned gays from the gathering spot. It wasn’t just the editorial, one gay person said. A Mexican tourist allegedly killed a gay Cuban during a fight there in January 2001. Despite such episodes – and undercurrents of machismo – many Cubans are fascinated by gays. That was clear in June 2001, when two gay male couples took part in a wedding ceremony in Havana. Juanito and Alejandro, and Michel and Ingel, exchanged vows at a neighborhood recreation center. A friend of the couples called it “historic, never before seen” in Cuba, according to Agence France-Presse. And some residents climbed on their roofs to get a better view of the event. 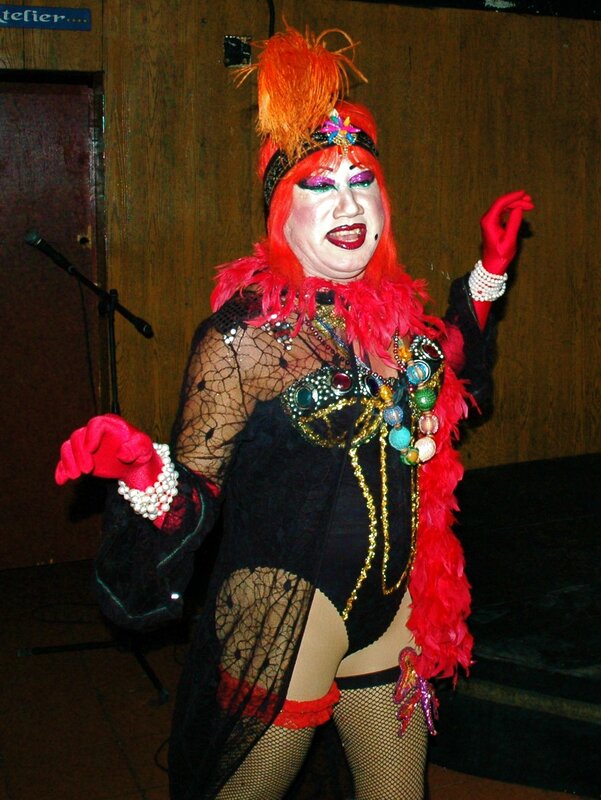 Cross-dressers and transvestites also attract plenty of attention, and people – straights included – pack into private homes for illegal but tolerated lip-sync shows.